Ahead of the festive season, the city of Memphis has announced a series of events guaranteed to put even the biggest Grinch in the mood to be merry. 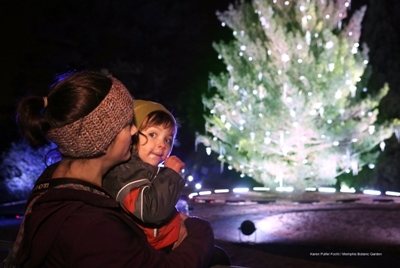 Memphis Botanic Gardens’ much loved holiday attraction Holiday Wonders at the Garden will open next Friday, 23rd November. 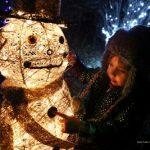 This Christmas event has activities that cater to all ages across the Trees Alight LED light show, Snowy Nights outdoor interactive venue, TruGreen Under the Stars Outdoor Lounge, and the 50’ tall City of Memphis Christmas Tree. The Gardens have also announced a series of special evenings across the season, including extended hours for Date Night for 18+, and their multiple marriage proposal options to help holiday romantics pop the question in the gardens. Holiday Wonders at the Garden. One of Memphis’ longest Christmas traditions is The Enchanted Forest Festival of Trees, which has been taking place for 65 years. Held in the Pink Palace from Nov 17 to Dec 31, this dreamland is filled with animated characters, model trains, and a sweet-smelling Gingerbread Village. Beautifully decorated Christmas trees line the hall as guests venture through the display. Proceeds from ticket sales go on to benefit Le Bonheur Children’s Hospital. The popularity of the southern city is on the rise, and visitor numbers from Australia nearly doubled in the last year. With no shortage of entertainment this festive season, it is the perfect time to follow explore the unique experiences that Memphis has to offer for yourself.